AT&T, IBM and HP have one. So does Starbucks and Disney. And they all generate millions of dollars with it. A big roadblock for IP owners is taking the wrong actions. Many attempt to license their IP without a plan. The result is wasted time and money pursuing the wrong type of licensing opportunities. The Licensing plan is your action plan. It details the steps you’ll take to move from (A) to (B) (as opposed to an IP strategy which is what you want to do). The licensing plan focuses on the two main activities necessary to create a licensing deal:finding a company interested in your IP and convincing them of the commercial value a license will give to them. The goal of your licensing program is to create licensing transactions. This is accomplished by reaching the right licensing marketplace and creating a buzz – requests for information, email and phone dialog and licensing offers. The key is to communicate often and reach the IP buyers in the right forum. Your licensing plan starts with research to find what companies can best produce, market and sell your product or service. It’s important to find a reputable company with the right resources. Research sources include manufacturing associations, trade journals and various industry databases. Reaching your target licensees is the next part of your licensing plan. These include tools such as marketing brochures and a website featuring information about your IP and licensing opportunity. Your Licensing Plan details all the different actions and activities to connect with potential licensing partners. These include attending trade shows for in-person meetings, connecting with licensees on social media sites, showcasing your IP on search engine visible websites, using steaming media sites to give content on the value of your IP, and providing relevant information to licensee decision makers. Creating a licensing plan doesn’t mean weeks of work. One trick I use is starting with an outline of the key plan parts – an first list of potential licensing partners, a schedule of industry events and trade shows, and form is the best way to give information about the IP. Some of the best tools to start with are a short power-point presentation and a summary of the licensing opportunity. The most successful licensing programs result from targeting your licensing activities to the right market. It also requires understanding how your IP fits their business model and makes money for the licensee. 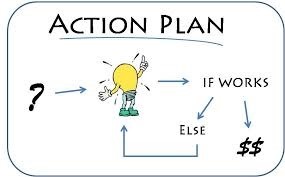 To be successful in licensing you must have an action plan. It’s not how good your IP is…it’s how good your ACTION is with your IP.